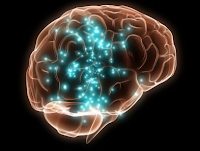 #BadPsychics: Is There Such A Thing As Addiction To Psychics? In this day and age we are often plagued by advertisements for various forms of psychics, whether they’re on television or a local party attraction. Those who manufacture cigarettes and alcohol can’t advertise with reckless abandon because of people who may become addicted but could a person become addicted to psychics? People may imagine that the type of person who would become addicted to psychics are the elderly, the vulnerable, the kind of people that watch shows like Most Haunted while reading reviews of bingo sites, like those on pgbingo.com. The truth of the matter is that any person can become addicted to the feeling of a promise that otherwise seems unattainable. This rush that the person gets when they believe that they are speaking to a relative is all too real and addictive. You believe that you are getting advice not from a stranger, not from the psychic/medium, but from your dead mother, your dead father. And whose advice would you want and trust more than those of people you loved the most, but are not with you any more. Nevermind the fact when they were alive you probably didn't take their opinion that seriously, but when dead surely all their advice MUST be the best advice, after all they have the spirit world to back them up! And this is the problem, the reality is you are not getting this expert advice from your dead mother, but from a stranger who is just telling you what THEY believe you want to hear. The saturation of supposedly reputable psychics on television is another major problem facing our population. Although less now than in the mid to late 2000's. For the highly suggestable it won’t take much to believe these claims and from there it’s a small step before they engage in the practice themselves. Ask yourself, have you ever been to a psychic/medium and have them tell you that you also have "the gift"? Who doesn't want to hear that they are also special, and that they have magic powers like the person they believe in, it is all part of the con. These shows now come with disclaimers but it can be too tempting for people to forget their skepticism when faced with highly edited TV shows. Psychic Sally, Colin Fry and Derek Acorah have all been slated in the press for this exact practice, in which their editors take out any misses on the show. This turns a one in ten chance of them getting the questions right into a ten out of ten every time, which is incredibly deceptive, just think, a 30 minute TV show like Clin Fry's Sixth Sense, was actually filmed over a few hours, those camera shots of the audience nodding and looking impressed are often edited in out of context. This happens in all TV shows, on Have I Got News For You, have you noticed how Paul Merton rarely laughs at jokes? Apparently he once found himself edited to look like he was laughing at a joke he never laughed at, and since then he tries not to laugh, so that he cant be edited in such a way. Even at parties some hosts bring out a psychic to read everyone's future for their entertainment. 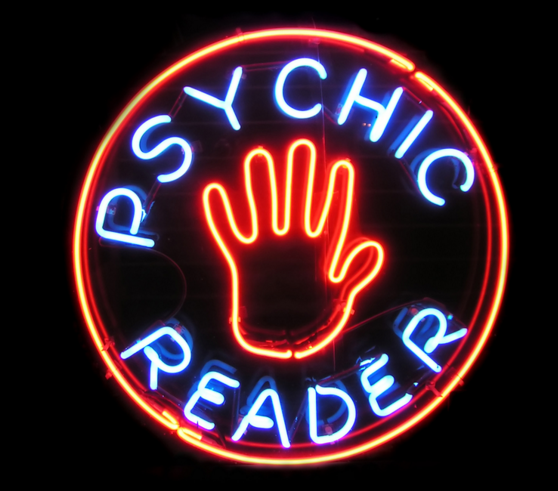 The psychic's primary aim in this situation is to bring in repeat business and upsell to the party guests. They may get a few cold readings right and these guests will then be more likely to visit them. They give their business card to all guests and hope to get some of them as repeat customers. These are just a few of the tricks that these psychics use to suggest that they hold some unworldly power. This power can be enticing for those who visit psychics, which then can be easily turned into an addiction. The fear of the unknown can be very real and by visiting a psychic people can stave this off and begin to feel a sense of control. It is scientific and historical fact that Psychics do not see the future, and Mediums cannot communicate with the dead, but despite this people uneducated in the methods will still believe. 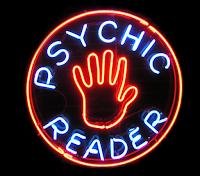 Psychics who hold themselves in high regard don’t come cheap either, so it’s a slippery slope as their customers become more dependent and can even be convinced to pay more. This is an addiction like any other for those who truly believe their claims, which is why we should be doing even more to debunk these fraudsters. Think of psychics like you would a drug dealer, often the first hit is free, that gets you hooked, and then you keep going back for more. My advice is don't even go for the first reading. The smartest people in society don't believe in psychics and mediums, and although we all like to think we are smart and cant be conned, we cant all be experts. I am an expert, and I am telling you that psychics and mediums are no more than a con. 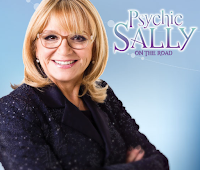 Sally Morgan makes a fortune from her sites just like the circle etc all claiming top psychics...the readers have to put up with terrible situations an earn a pittance. They are used just as much as the callers. Target the owners of the sites and pray the readers will have the good sense to leave. I say put your trust in God and get on with life these people can make you feel better but the moment is brief. No aim for the fat fraudulent greedy owners. While Peter was in the hospital, a good friend, knowing he loved the Yankees and particularly Joe Torre, their longtime manager, got Torre to sign a baseball—a talisman. But the day I brought it in, Peter shook his head. "I can't," he said. "Put it away." I didn't know why it upset him, but I put the ball in his closet, in a canvas bag that I'd packed with his clothes and toiletries to bring to the hospital. LC: He died of a blood cancer. And his doctors told us it was probably related to the lymphoma his father died from. LK: The reason—David will not get it. That's what he's telling me. Lisa would be talking to me directly, then talking to…Peter? And sometimes it was if she were Peter, talking to us both. Channeling would probably be the best verb. there were many more specific things she said that she couldn't have known or googled.Anyway, try Googling the name of a person you know nothing about. It takes a lot more than five minutes to navigate to the page with the right information and absorb it all—the names and details and events. What was amazing about this was the way Lisa pronounced it: "guoy," not "guy." It was precisely the way Peter said it, with an exaggerated Brooklyn accent. He'd use that expression when we were making up after a fight: I'm a lucky guoy…to have you. At this point I began speaking directly to him; I couldn't help myself. LC: Peter, you weren't lucky! You died! Until that last week, I hadn't been able to touch Peter's skin with my fingers or lips for three months; I wore rubber gloves and kissed him from behind a mask. A stem-cell transplant takes a patient down to zero immunity; a kiss from a wife with even a nascent cold sore can be deadly. But once we knew he was not going to survive, I took off the mask and gloves, climbed into the bed with him—he was in a morphine sleep by this time—and I did touch his face. After he died, I kissed his face and tried to close his eyes. LC: Do you swear, Peter? A joke! It's true; I swear like a sailor. He hardly ever did. At this I shrieked loudly enough that Davey ran into the room to make sure I was okay. Then I told Lisa that Boo-boo was Peter's baby name for Davey. LC: He didn't do that! I did that. I do that. Fraud, the psychic asks questions, simple as that. What do you make of the "medium's" statements recognized as accurate by the victim that weren't in response to the questions/fishing expedition? I dont make anything of them, the medium is cheating, therefore the whole reading becomes invalid. The client is giving the info. Also keep in mind this is a highly edit reading appearing in a magazine. For all you know questions were edited out, and the reading made to look more impressive. It is pointless analysing an edited reading as you are not seeing the truth, only what they want you to see. Only ever worth analysing raw unedited readings.